HIV patients continuously search for ways to alleviate the pain they feel as the therapies and drugs they take have several side effects. 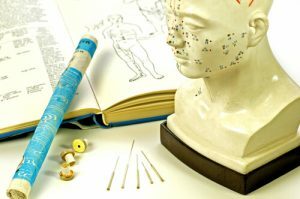 Acupuncture is a kind of medicine that has been said to be the oldest Chinese medicine that can be used for several conditions. There are many HIV patients looking for alternative medicine like chiropractic treatments and acupuncture to soothe the pain they feel after their therapies. Acupuncture involves needles inserted to your body. Acupuncture has been widely been used by HIV patients who get side effects of headache and dizziness. Acupuncture has been used for several treatments; it is as well used by the HIV patients to boost their immune systems. Before you get to use this treatment ensure that the needles used here are sterile and have not been used by another person. Headache and dizziness are the most common side effects associated with HIV treatment. Acupuncture as well can be used to reduce inflammation which has been caused by the HIV virus. Studies have shown that acupuncture is capable of reducing this inflammation. The needles inserted in the body through specific pressure points, enable the nerves to soothe inflammation and swelling. HIV patients have been suffering from many infections which the body isn’t able to fight against. Acupuncture can also help HIV patients with symptoms of nausea and muscle pain. Also stimulating the nerves in specific body points with the needles might help stressed and anxious patients. Acupuncture does not alter the body functioning either does it react with the other medications you might take. It is meant to relieve your side effects and improve the working of your immune system. HIV patients can also use natural herbs if they think they will help them, or relaxation methods like yoga and massage to help with managing the stress they feel.